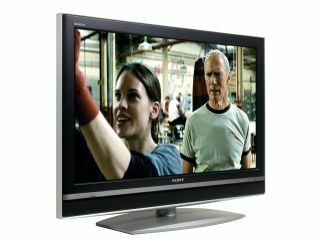 The Sony BraviaKDL-40D3000 LCD television has been declared the winner of this year's European Green Television award from the European Imaging & Sound Association (EISA). The 40-inch flat screen TV was selected for the accolade by an evaluation team of European academics specialising in the environmental benchmarking of electronic products. In normal operation, the KDL-40D3000 consumes just 0.0395 watts of power per square centimetre of screen area. This is even lower when the set's power-saving ambient light sensor is activated, reducing consumption to a mere 0.0141 watts per square centimetre in power saving mode. In standby (deep sleep) mode, overall consumption is just 0.27 watts. Other models in the Sony Bravia range also have negligible power requirements in comparison especially to some plasma screens. Standby consumption of most models is 0.3 watts, while none consume more than 1 watt. Sony says it's working closely with Intellect, the UK trade association for the IT, telecoms and electronics industries, to further improve the energy efficiency of products. "Thinking about the environmental impact of our products at every phase of their lifecycle has been a central part of Sony thinking for many years", says Jonathan White, TV/HV Business Unit Head, Sony United Kingdom Limited. "We know that consumers care increasingly about the true cost of their new television set in terms of our planet's natural resources. This award is a clear demonstration of Sony's commitment in this area. Naturally, we are continually developing new innovations and technologies that will further improve the energy efficiency of Sony products." As LCD technology improves, energy efficiency is getting better and better. Sharp's new 10th generation LCD panels will consume around half the amount of power that today's LCD TVs use.